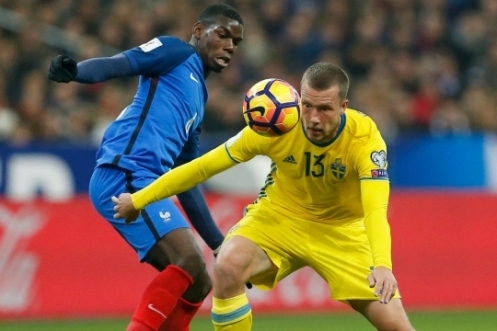 Sweden - Luxembourg & Bulgaria – France predictions for Thursday’s World Cup 2018 Qualification matches. The underdogs will be able to hold a handicap. Read on for live streaming info and our free predictions. Do you want to watch live streaming of Sweden - Luxembourg & Bulgaria – France and bet live? Go to bet365 Live Streaming and place winning bets! The situation in this group is clear, France are likely to take 1st place, probably it will be enough to get 3 points with Belarus, but just to be sure it is better to beat Bulgaria, of course. Bulgaria still has chances to qualify in theory, but that required winning over France and that result is almost impossible. With all skepticism about Bulgaria, current betting lines look weird. The Bulgarians defeated the Swedes, the Dutch and the Belarusians at home, while France look confidently only at own venue and have poor away results: 0-0 with Belarus, 1-2 with Swedes and 3-1 against Luxembourg with the second goal scoring by penalty kicks, and the third goal was scored in the last minutes. It should be noted that Pogba would not play. The Dutch have many chances to be left behind another major tournament after EURO 2016! The Swedes are certain to beat Luxembourg, and before the last round, they will have 3 points more. Netherlands will try to level the playing field in a head-to-head battle, but according to the official rules, the main criteria after the points is the goal difference, and it is 6 points worse for the Dutch now. Therefore, we can safely say that this is the end of the fairy tale for the Dutch… Goodbye, Netherlands! Another interesting game is Sweden vs Luxembourg. Everybody knows that the Swedes need a better goal difference so the odds on ‘Sweden to Win with Asian Handicap (-3)’ have dropped from 1.85 to 1.65. Come on, you can’t be serious – Luxembourg have always played without any motivation and is used to it, today they will play their best. Luxembourg have failed only one game in this qualification with Netherlands on the road. Let’s don’t forget about their sensational recent visit to France! The Swedes are without Ibrahimovic, their offensive line presented by such players like Berg from the UAE championship, Guidetti who played only one game this season and Thelin from the outsider of the Belgian championship. Such attacking line does not impress at all!